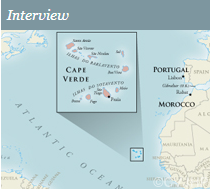 History | Cape Verde Jewish Heritage Project, Inc. The Republic of Cape Verde, an archipelago of ten islands, lies in the Atlantic Ocean about 300 miles off the coast of Senegal, West Africa. Cape Verdeans are predominantly Catholic as a result of over 500 years of Portuguese colonial rule. However, some New Christians, or Jews who had converted to Christianity between 1391 and 1496, may have been in Cape Verde along with the Portuguese starting in the 16th century. Because fear of the Inquisition caused them to hide their Jewish identity, no vestiges of these “Conversos” remain. By the mid-1800’s, Moroccan Jews openly emigrated to Cape Verde, often via Gibraltar, to find economic opportunities. Jews had lived for the most part peacefully in Morocco for more than 2,000 years, but deteriorating economic conditions in the mid-1800’s prompted some to depart for Cape Verde, which was an important transatlantic commercial hub at that time. 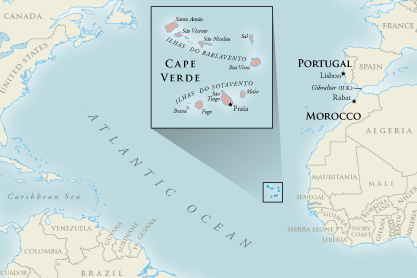 The Cape Verde Jewish Heritage Project, Inc. focuses on the second, more verifiable wave of Jewish immigration to Cape Verde. These Sephardic Jews freely settled in Cape Verde after Portugal abolished the Inquisition in 1821 and after Portugal and Great Britain signed a trade and navigation treaty in 1842. Because many Moroccan Jews traded with the nearby British territory of Gibraltar, some had obtained citizenship and traveled to Cape Verde with British passports. Hebrew and Portuguese inscriptions on the tombstones in the small Jewish cemeteries throughout the islands indicate that the majority came from the Moroccan cities of Tangier, Tetouan, Rabat, and Mogador (now Essaouira), bearing distinctive Sephardic names such as Anahory, Auday, Benoliel, Benrós, Benathar, Benchimol, Brigham, Cohen, Levy, Maman, Pinto, Seruya and Wahnon. These families landed primarily on the islands of Santo Antao, Sao Vicente, Boa Vista and Sao Tiago where they engaged in international commerce, shipping, administration and other trades. 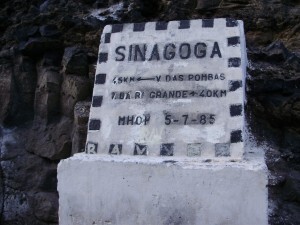 The Jews prospered in Cape Verde and were often considered pillars of the local economy. Because they were few in number and mostly male, many married local Catholic women. As a result of this assimilation, Cape Verde today has virtually no practicing Jews. Yet, descendants of these families, whether in Cape Verde, the United States, Europe or Canada, speak with great pride of their Jewish ancestry. 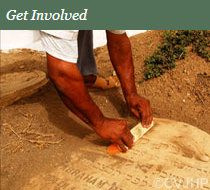 They wish to honor the memory of their forebears by preserving the cemeteries and by documenting their legacy. The first democratically elected prime minister of Cape Verde, Carlos Alberto Wahnon de Carvalho Veiga, is of Jewish descent. Many descendants of the Jewish families are collaborating on various aspects of CVJHP’s mission, such as providing oral testimonies, technical support and financial assistance. For example, Lisbon-based architect, Rafael Benoliel, designed the blueprint for the restoration of the Jewish cemetery in Boa Vista and the logo for the Cape Verde Jewish Heritage Project. 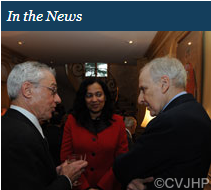 In addition, several descendants serve on CVJHP’s board of directors.